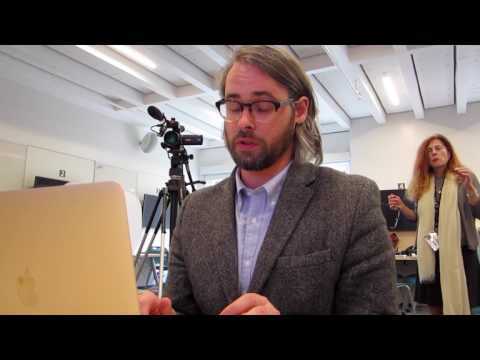 On June 15, 2017 Aaron Tucker visited the 'Documenting Born Digital Creative and Scholarly Works for Access and Preservation' class at the 2017 Digital Humanities Summer Institute in Victoria, BC. 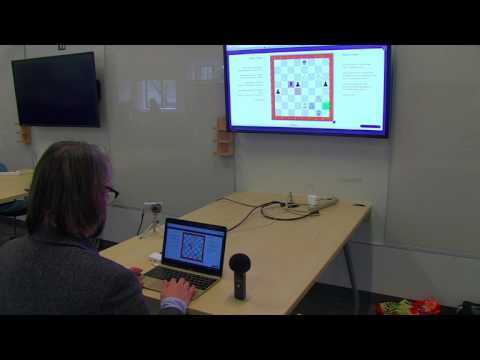 He demonstrated his work The ChessBard, which was documented as a traversal. The video of the traversal is divided into four parts. 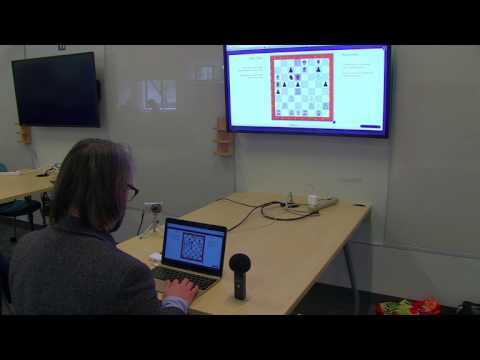 Tucker demonstrates The ChessBard's website and its mechanics, and begins a performance with the computer AI. 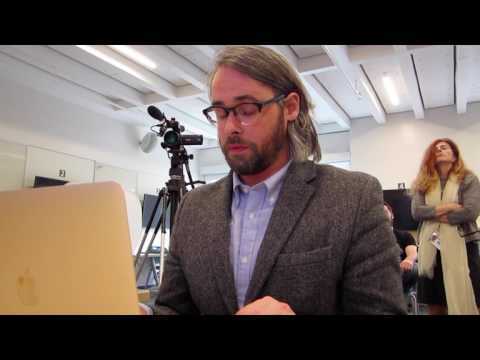 Tucker comments on multi-linear, anticipatory thinking in chess and poetry, as well as the inspiration for the piece. "The game, for me, is this negotiation between space and play, in the same way that often my poetic practice is a negotiation between space and play." The game intensifies, and Tucker gives an explanation of the templates used to create the poems. The game concludes, and Tucker (unintentionally) demonstrates the ephemeral nature of the resulting poetry.